The works on display are wonderfully conceived, the exhibition itself is rich and splendid. 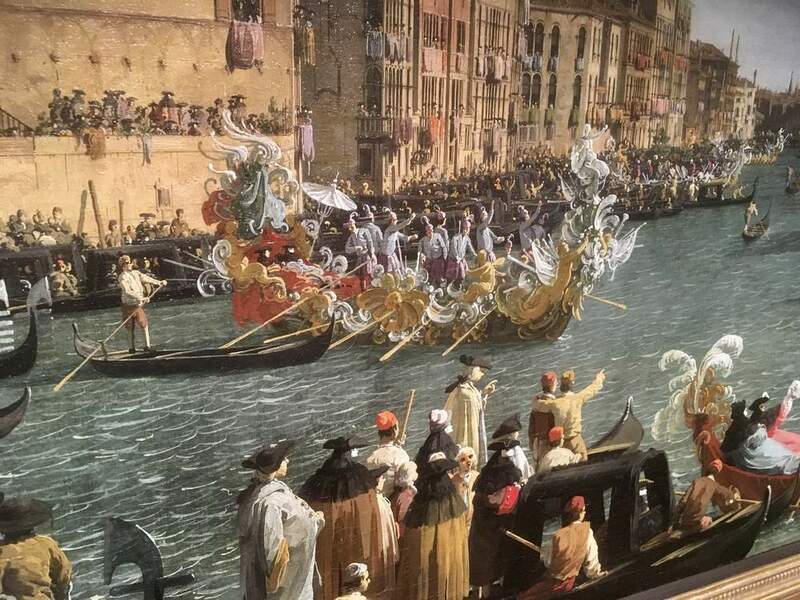 The first two paintings alone would be worth going to see – A Regatta on the Grand Canal and The Bacino di San Marco on Ascension Day, both 1733-34. 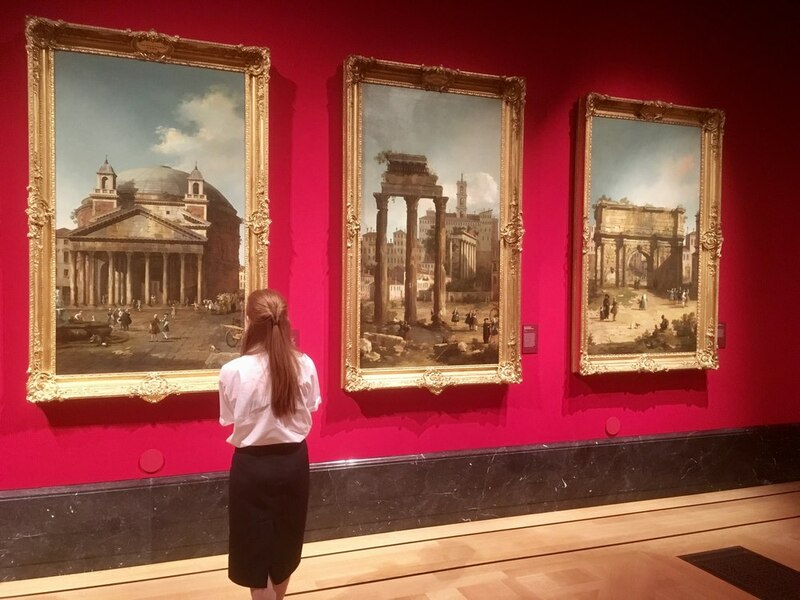 These two sizeable festival paintings (right at the start of the exhibition) are part of a series extending to twelve other smaller paintings of the Grand Canal – and all are on display in the magnificent Canaletto & The Art Of Venice in the Queen’s Gallery at Buckingham Palace. The Queen’s Gallery is one of my favourite galleries in London. It’s a gallery deserving of more attention than it generally gets – not just because of where and what it is but because of its constant series of superb exhibitions, drawing as it does on the exuberant and luscious Royal Collection. The Canalettos are a case in point. All of the works on display in this exhibition are straight from the Royal Collection. Not a loan in sight. The story behind the Royal Collection having all these Canalettos is fabulous. The young George III bought the works from Joseph Smith, the British Consul in Venice in 1762. 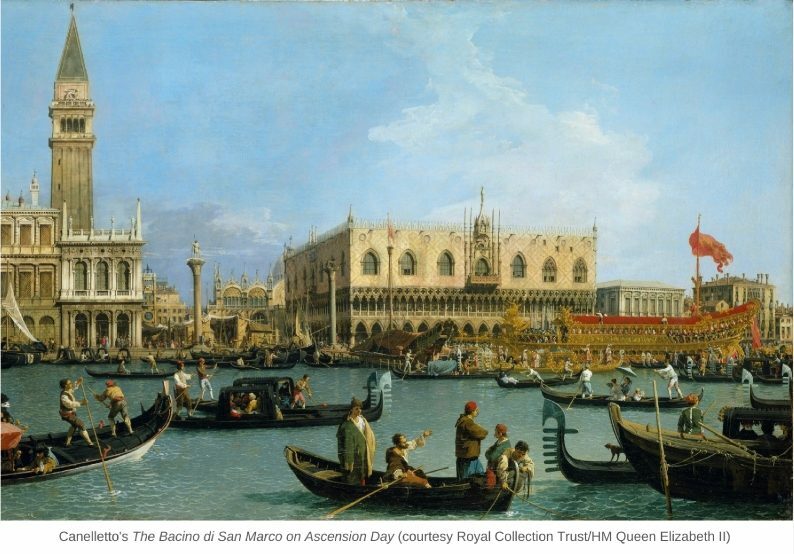 Smith, as it happened, was also Canaletto’s agent and dealer. It was Smith who commissioned the Grand Canal series over a period of ten years. The works hung in his palazzo where he entertained and sold paintings to visitors on their Grand Tour. 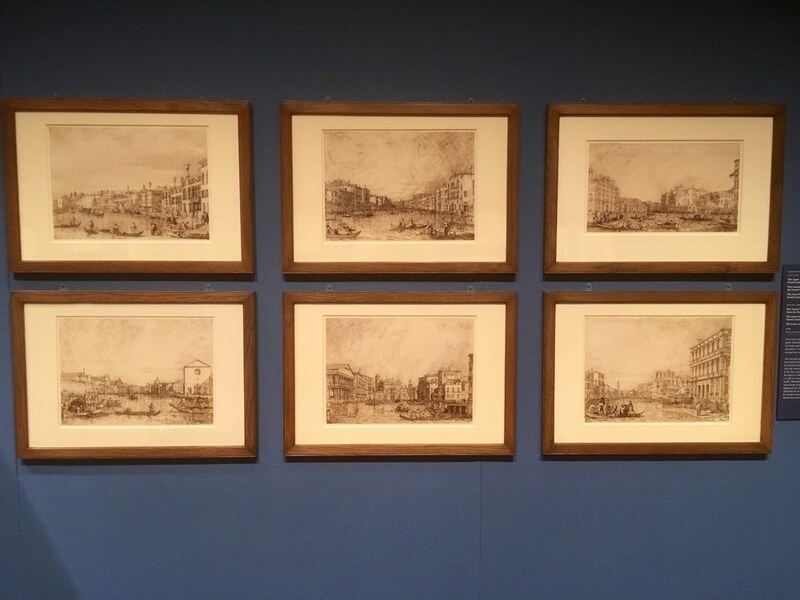 The exhibition also features five large oils of Rome’s ancient monuments from 1742 which were commissioned by Smith. In addition to the oils there are dozens of drawings on display and these are fascinating. The exhibition also shows examples of work by contemporaries of Canaletto including Sebastiano and Marco Ricci and Francesco Zuccarelli. 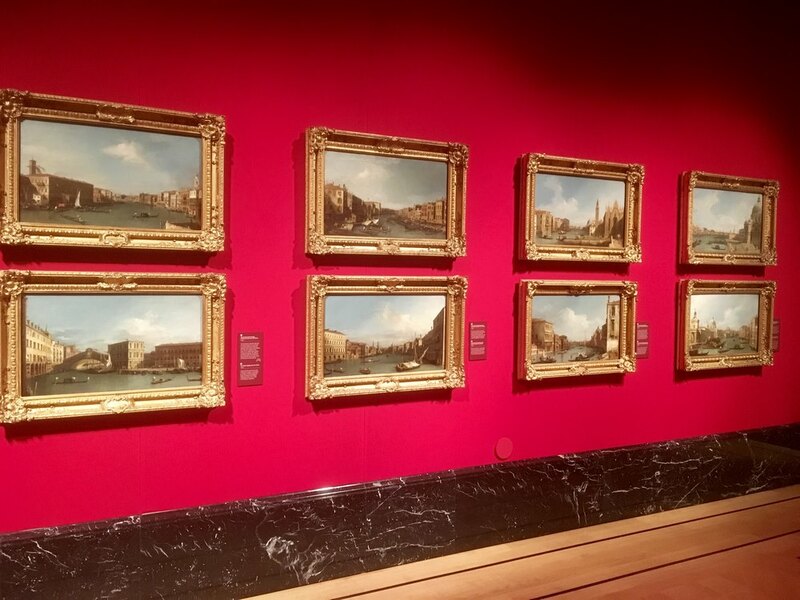 Canaletto’s work can at times be formulaic, flat even when he betrays his early background as a painter of theatrical backdrops. However, this is a really great collection full of delight and laced with his trademark capriccio, when he fuses real scenes with the imaginary. The show runs until November 12, 2017. If you love Venice, you will love this show.